The June date for the BOSS GP race weekend in Monza has been moved one week ahead by the organisers. 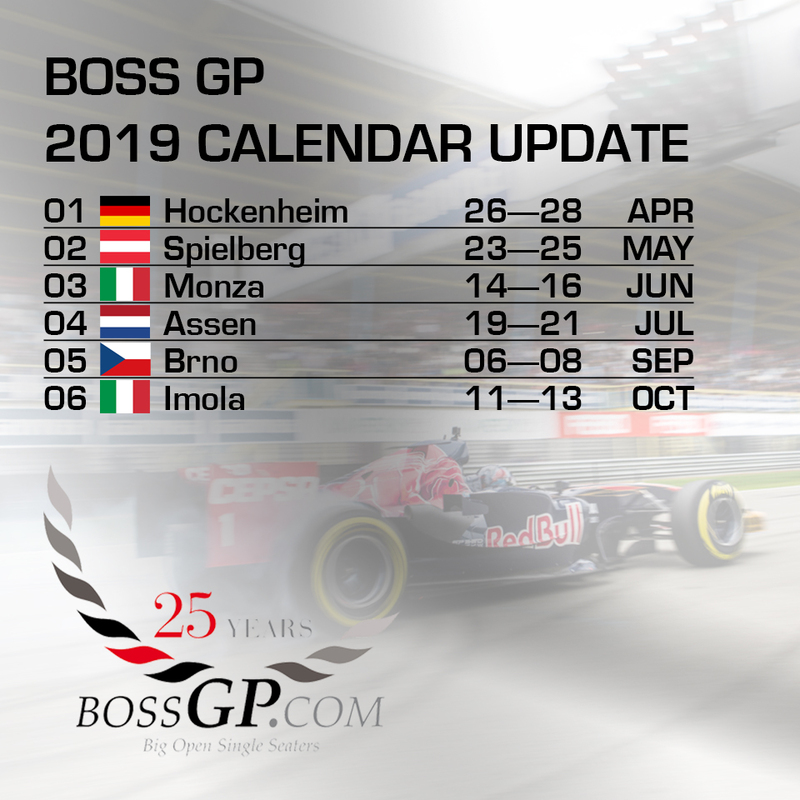 Races 5 and 6 of the BOSS GP will take place from 14 to 16 June 2019 at the Autodromo Nazionale Monza in Italy. The original date (21-23 June) has been postponed by the organiser Peroni by one week. 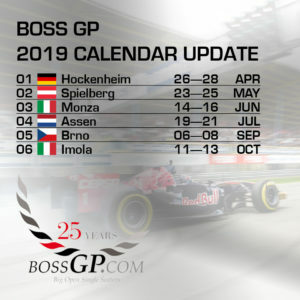 In June (21-23) the first of two Italian appearances of the BOSS GP 2019 will take place at the Autodromo Nazionale Monza. On Italy’s fastest motorway, the adrenaline level will rise as always, because besides skill, the drivers will also need a lot of courage. The BOSS GP will return to Italy for the final round of 2019 and to Imola after a one-year break. The races will take place on the former Formula 1 track from 11 to 13 October.In the calendar planning, particular importance was attached to extending the intervals between the individual events and dividing the races into seven months. There will be a summer break in August. As usual, every race weekend will have two races of 20–25 minutes each, in addition to training and qualifying. The exact schedules will be published at www.bossgp.com before the races.